1. Cesar Chavez Was An American. Despite fighting most of his life for immigrant worker's rights, Chavez himself was born in the US. Chavez was born on March 31, 1927, in Yuma, Arizona. He had two brothers, Richard and Librado, and two sisters, Rita and Vicki. The family lived in a small adobe home on a ranch, however, eventually the home was taken away when Chavez' father agreed to clear eighty acres of land in exchange for the deed to the house. When the deal was renigged upon, Chavez' father tried to buy it back but couldn't afford the interest - the family then moved to Calfiornia. 2. Cesar Chavez Worked Most Of His Life. When he was 15, Cesar Chavez left school in the seventh grade to become a full-time farm worker. He joined the US Navy in 1944 and served for two years. When he returned home, he went back to working on the farms in California full-time. He also married his high-school sweetheart, Helen Fabela and moved to San Jose, California. He continued to work in the fields until 1952 when he became a full-time activist, advocation for migant workers' rights. 3. Cesar Chavez Was An Activist. In 1952, Chavez began working for the Community Service a Latino civil rights group. In 1962, Chavez left the CSO to found the National Farm Workers Association with Dolores Huerta - this later became the United Farm Workers. Chavez led a strike in 1965 of grape pickers marching from Delano to Sacramento for higher wages. The strike lasted five years and attracted antional attention. The strike led to the Senate Committee on Labor and Public Welfare's hearings on the strike, which were supported by Robert F. Kennedy. 4. Cesar Chavez Worked Fast. Much like modern-day protesters, one of Cesar Chavez' most well-known protest techniques was fasting. He called them "spiritual fasts" and saw them as “a personal spiritual transformation”. In 1968, he fasted for 25 days. In 1970, Chavez began a fast of "thanksgiving and hope" to prepare for pre-arranged civil disobedience by farm workers. 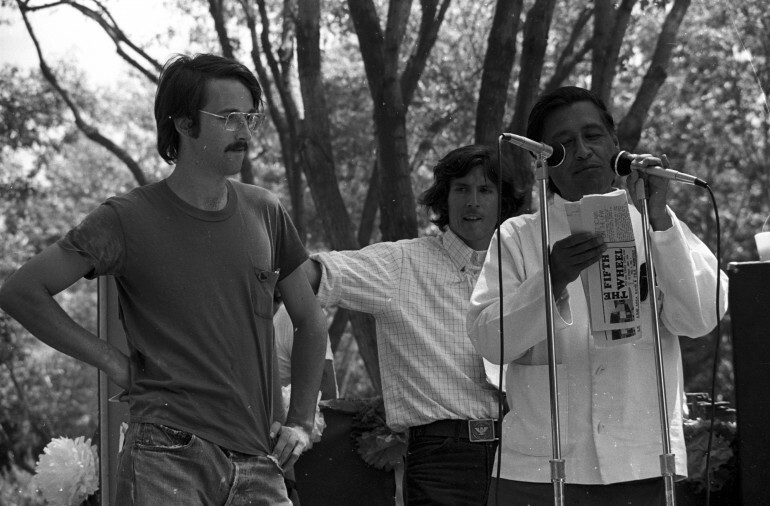 In 1972, he fasted in response to Arizona’s passage of legislation that prohibited boycotts and strikes by farm workers during the harvest seasons. 5. Cesar Chavez Was Anti-Immigration. Despite being an advocate for migrant workers, Cesar Chavez and the UFW were actually deeply opposed to undocumented migrants. Chavez' fear was that cheap undocumented labor would undermine UFW strike campaigns. On various occasions, the UFW and Chavez went so far as to report undocumented immigrants who served as strikebreaking replacement workers. 6. Cesar Chavez Day is March 31. Chavez was born on March 31 - today, the day is celebrated in California, Colorado, and Texas as a state holiday, as a means of remembering the work Chavez did for workers' rights. This year, President Barack Obama proclaimed March 31 as "Cesar Chavez Day" in the United States, with Americans being urged to "observe this day with appropriate service, community, and educational programs to honor César Chávez's enduring legacy".